Our animals are such an important part of our lives, but for those of you who have allergies, you might find it a little difficult at times to cuddle them. Even just having a pet in your home can make it tough to get around when you’re dealing with allergens everywhere. Allergens are basically proteins that shed off your pet and are spread throughout your home via air conditioning or heating, and can really be irritating for those who are hypersensitive. 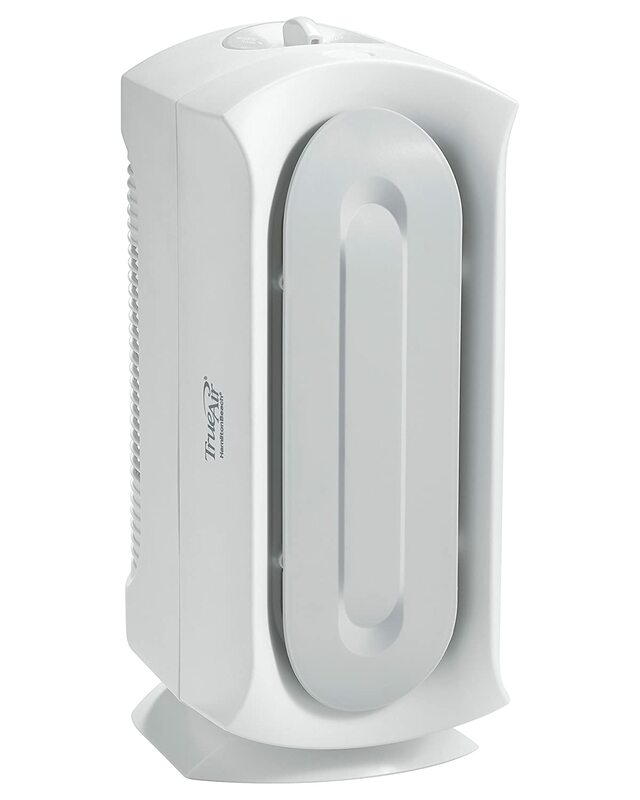 Luckily, it’s easy these days to combat these allergens with a great air purifier. These purifiers are more for you than for your k9 as they remove airborne allergens so you can breathe easier. The filters help to remove even the smallest particles in the air and keep those pesky odors to a bare minimum. 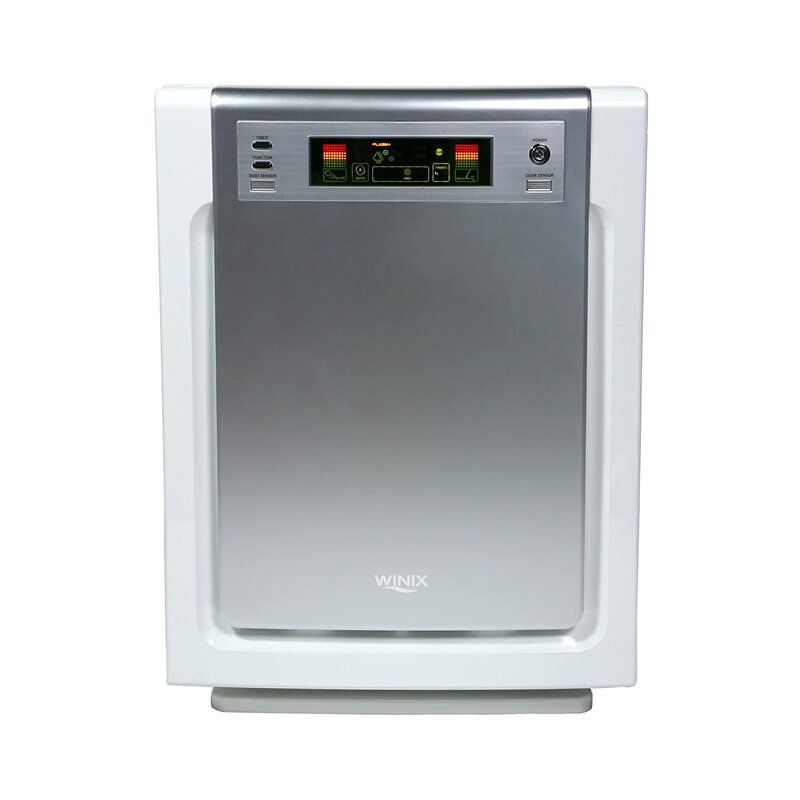 In conjunction with a quality vacuum cleaner, a purifier can certainly improve your daily life. In this article, we’ll take you through the top 10 best air purifier for pets. 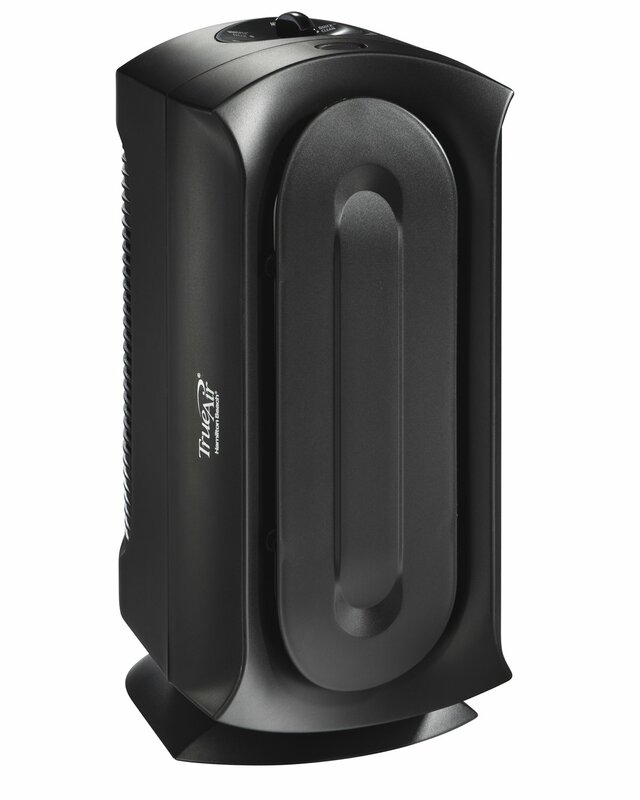 The GermGuardian AC4825 works with a HEPA filter to get most of the dust and allergens in the air around you. That means you can easily use it not only for dander but for mold and plant pollens too. If pet odor is a problem as well, use the charcoal filter to get rid of odors all at once. It’s perfect for medium sized rooms thanks to the 3-speed tower. People love that the HEPA filter only needs replacement once a year, so you can keep using this with your pets year round. It works quickly and set up is simple, providing great air circulation and odor reduction. For those of you with cats and dogs sporting long hair, you’ll notice how quickly all that danger is cleaned up, even in a large-sized room. It’s pretty quiet too, so it shouldn’t scare your furry friend too much either. With the 99% HEPA filter used in Hamilton Beach’s air purifier, you’re not only saving money, but you’re cleaning out your air too. Two replaceable carbon zeolite filters completely get rid of odors, which may work especially well if you place it near your kitty’s litter box. 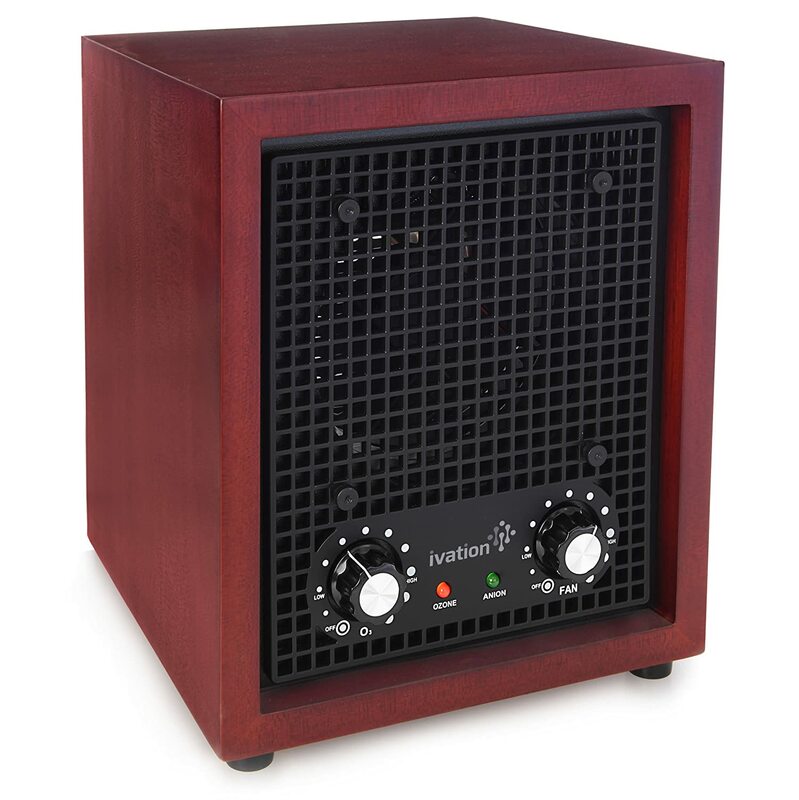 It can work in rooms of up to 140 square feet and uses a permanent HEPA filter. No more replacements necessary. This purifier is perfect for pets since it really cleans out the air. You’re able to keep it running 24/7 without experiencing any sort of problems. You will have to clear out the filters obviously, but the fact that they’re dirty lets you know they’re working! People with dogs especially love it, since even having multiple dogs doesn’t stop it from doing its job. It’s thankfully quite small too, so you’re able to place it anywhere you need. This filter works to capture 99.99% of airborne particles, of course including both dander and allergens that are extremely small. The washable advanced odor control carbon filter specifically works to capture odors, while the pre-filter extends the filter life by capturing hair and larger particles. PlasmaWave technology will capture even molecules! You can set it however you want so that it will automatically work to the needs of your home. Even the day after using the Winix filter, people notice that they’re already breathing easier around their kitties You can run it 24/7 to clear the air, but you’ll be surprised that there’s not any noticeable difference in your power bills. It barely consumes any energy! It’s extremely tiny, meaning that you can place it anywhere and with any type of room. Winix even replaces bad units quickly with great customer service to help you out with any problems. This sleek Germ Guardian includes a Pure antimicrobial agent right in the filter. That means that the growth of mildew and odor causing bacteria is inhibited by the filter, with the HEPA technology capturing 99.97% of those allergens you’re concerned about. Thankfully, there’s a charcoal filter right inside too in order to reduce those nasty odors. The UV-C light technology works with titanium dioxide in order to kill those airborne allergens, helping you breathe easier. Not only is this Germ Guardian designed well, but it’s also small and quiet too. People love that it doesn’t scare their animals while eliminating hair and dander with ease. If you keep the filter clean here and there, you won’t even need to replace it. Use it throughout your whole house as it works perfectly from room to room. Cat owners find that it works great next to the litter box for smell especially. If you keep the filter clean on a regular basis, you won't have to change it. If you’re dealing with hair and allergens, Germ Guardian is a great company for filters. This filter specifically captures 99% of dust, dander, allergens, mold spores, and even plant pollens. It uses charcoal filters like other versions and easily gets rid of common odors without a problem. The UV-C light technology and titanium dioxide will clean up your air while the 3-speed table top tower is perfect for any room size or any small space. 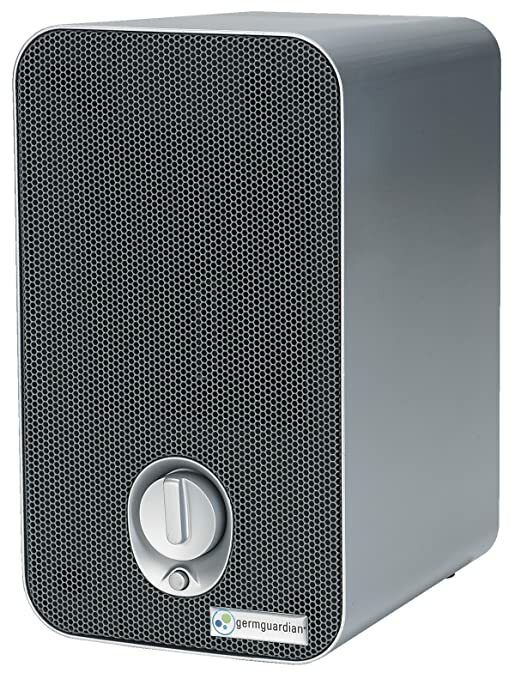 You can fit this purifier in any small area, but what people really love it how quick and effortless it is. Some buyers have left it at home for just a few hours and find that the air is already cleaner when they return! It’s completely safe to leave unsupervised, even with your furbaby round. Cat owners notice a huge decrease in litter box smell, and even if it does run a little loud, it’s so useful that you probably won’t notice it. UV-C light technology kills airborne bacteria, viruses, germs and mold spores. 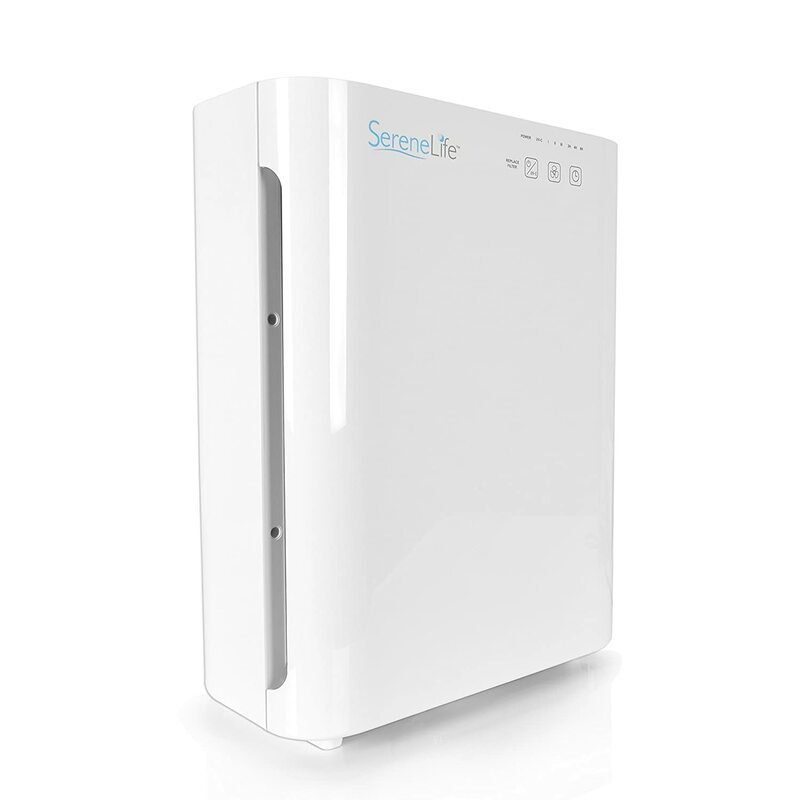 SereneLife makes an air filter that will work perfectly for your home, making use of Oxygen Flow Filtration Technology, the built-in HEPA filter, and an UV-C light to kill germs. All you need to do is plug it in and you’re done! It’s very quiet with adjustable speed circulation, making it perfect for those of you who have multiple animals or ones with long hair. Dual layer air purification has an additional carbon filter to get rid of particles, working for rooms of up to 430 square feet. Buyers especially love how the three-speed fan lets you speed it up or slow it down to the desired level. After only a few days, there’s a marked reduction in allergies. You can even use it to spread the smell of candles that you’ve got set up and probably won’t notice much noise coming from it either. Buy this filter in two different colors and notice the money you’ll save compared to other filters. The ultra low energy consumption and lack of costly filters ensure that it cleans up your air and goes easy on the environment too. Electrostatic Ionizer Purification used negative ions to remove small pollutants like pet dander. It’s meant to be whisper quiet, with a night light to help you see your way around in the dark. Use the carbon filter to reduce smell as well, and the UVGI technology to get rid of small microorganisms. Even those people who are seriously allergic to pets can find relief with this filter. It works in small or large rooms and is small enough that you can easily place it anywhere. There are three options that you can use to adjust it. The light is unimposing too, and shouldn’t bother you too much when it’s working at night. Use this Hamilton Beach filter to get rid of allergens in your home. Rooms of up to 160 square feet work with the HEPA filter as it removes any of those airborne allergens that are bothering you. You don’t need to buy filters either. All you have to do is vacuum the filters to clean them up without spending lots of money. There are 3 ultra-quiet speed settings with a simple control knob. The tower design makes it small enough to fit anywhere too. If you use these filters daily, you really will notice a difference in your air quality. Lots of people aren’t bothered by allergens at all after setting these up. Smell is reduced a bunch by the charcoal filters, and thankfully, you don’t need to spend lots of money on replacements either. Don’t be fooled by the small size! Households with multiple pets find that it works great too, no matter how many furry animals you have running around. The Honeywell tower captures up to 99% of those pesky airborne particles, including annoyances like dust, but also dander too. It includes an on/off oscillation control that cleans out any air that passes through it, with washable filters that allow you to rinse with water. Once you let them dry, you can turn on your filter once again. Use the LED touch button control panel to set it to any of the three speeds. It’s even ARB certified to comply with federal ozone emissions limits. It’s great that this purifier is so durable, so you don’t have to deal with any worries when it comes to moving it around, moving to a new home, or excitable puppies that get too close. After storing it for a while, it will still work just as well too. It works exactly as it’s supposed to in order to clean out dander from your home, and is thankfully quiet. The Ivation Ozone may look like a cute little box, but it’s got powerful ion energy inside. It releases negative ions to purify the air in up to 3,500 square feet. Use it in any size home or room 24/7 without worrying about it. Allergens and other irritants are removed from the air quickly just as pet odors are reduced thanks to the ozone generation. Even the design is elegant enough that it should work in any type of home. This purifier works really well when it comes to odors, leaving the air smelling nice and clean. Leave it on all the time without worrying about overheating or any other issues you might expect. It’s so quiet that it won’t disrupt your daily life, and won’t scare your pup or kitty either. Just using the low setting gets rid of odors and other allergens within a few hours so you can breathe easily again. Now that you’ve taken a look at the best purifiers for pets, you’re probably wondering which one you should pick. There are so many options, but there are specific features that you should consider before you pick one up. HEPA Filter - The best types of purifiers include HEPA filters to clean out all impurities in your environment. If you need to be rid of allergens, this is the highest standard. Room Coverage - You don’t want to buy something that won’t work for the size of your rooms. Take a look at maximum room limits before you assume it’ll work throughout your whole home. That means you need to consider the square footage of your room, and since most purifiers specify the space they cover, you can easily estimate it one will fit your needs. 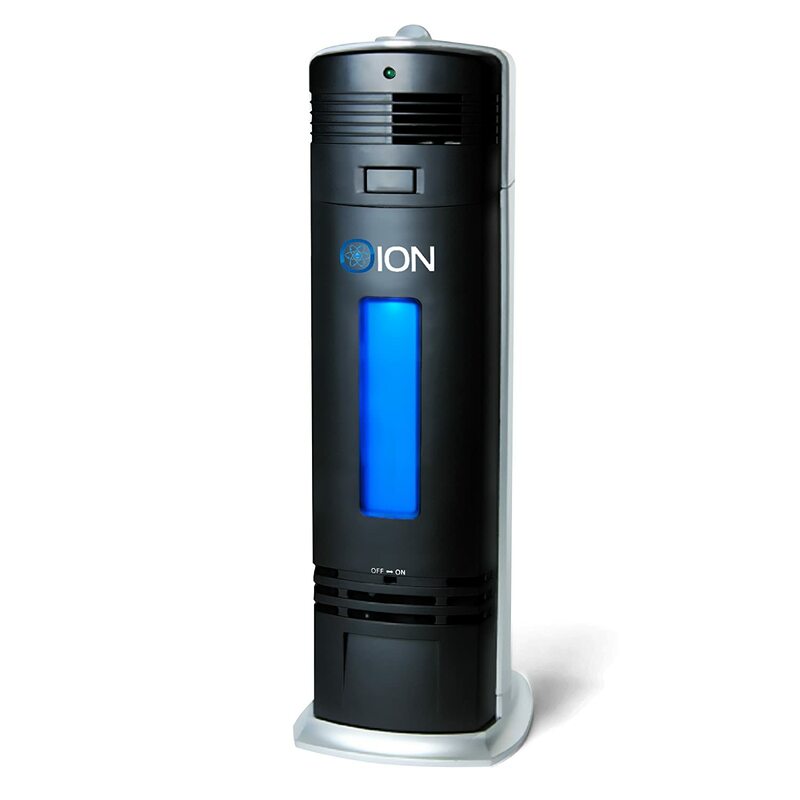 Air Ionizer - Air ionizers charge ion particles in the air. This means that airborne particles are not only trapped but also attracted to the filter, cleaning out your air. ​Size - Of course, you want something that doesn’t take up too much space, especially if you’re placing it in a small area. They come in all sorts of shapes and sizes, so you have many options. Usually, people place them in their bedroom, so make sure it’s small enough and quiet too. ​Quality Needs - Find a purifier that’s meant specifically to clear out your allergens. There are types meant just for that, like the ones that include HEPA filters. ​Features - You can look for special add-on features too like caster wheels, handles to help you carry it, digital controls, sensors, and so on. Many of the best purifiers are small enough to carry around with ease, including speed settings so you can adjust to your needs. Maintenance - Take a look at how long you have before you have to replace your filters to keep your purifier working properly. For those of you who forget or who don’t want to continually buy replacements, upkeep is important to consider. There are lots of options for you when it comes to buying the best air purifier for pets. Pick any of these top ten to find some relief for you and your loved ones so you can continue to cuddle and love them. With the right purifier, you’ll be breathing easier around your home in no time. Leave us a comment below and share your experience about other air purifiers!